Comethazine stopped by our Lyrical Lemonade office a few weeks back when he performed at our Juice Wrld show, so it was only right that we sat him down for a dope new interview! 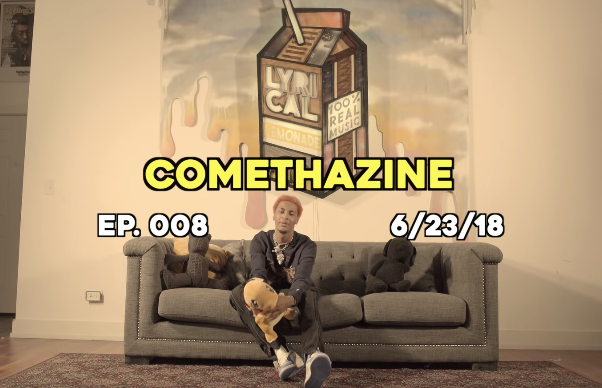 You will find Comethazine speaking about plenty of interesting subjects such as when he realized he was a rapper, the impact that XXXtentacion had, his relationship with the A$AP Mob, his upcoming music, his new sound, his upcoming collabs, his relationship with Smokepurpp, looking up to Eminem & 50 Cent, being from St. Louis, his role in skate rap, expecting to be on XXL next year, Demi Lovato, “Cop A Jag”, his live performance, soundcloud rap, having confidence in himself & so much more. Take a few minutes of your time to check out this brand new interview below!